Understand Your Kid and Get Him to Listen. 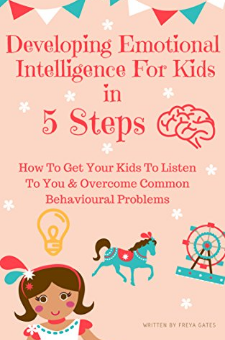 Developing Emotional Intelligence For Kids In 5 Steps will show you a simple five-step system to help overcome everyday challenges with your dear one together. Inside you will discover:the motivation behind your child's seemingly random behaviour that will allow you to connect with your kid on a deeper levela proven 5 step system to get your kid to listen to you almost every timethe top 5 most common behavioural problems among kids and how you can each one of themhow to nurture and develop your kid by building a deeper connectionand much, much more!In just a few moments, this guide will allow you to connect with your child on a deeper level, overcome common behavioural issues and build a deeper bond with your child. Simply grab your copy to get started right away!